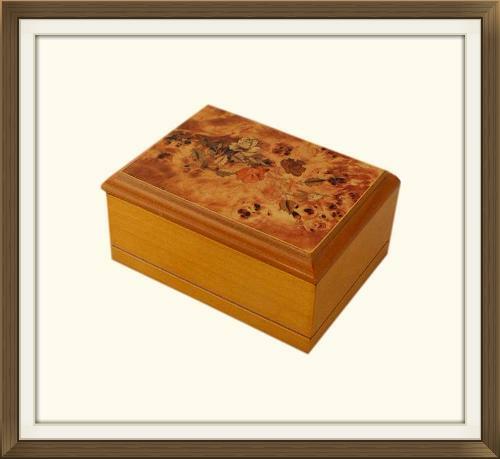 This is a beautiful small modern jewellery box, made by the renowned jewellery box manufacturer, MELE. Further information about this manufacturer can be found below. 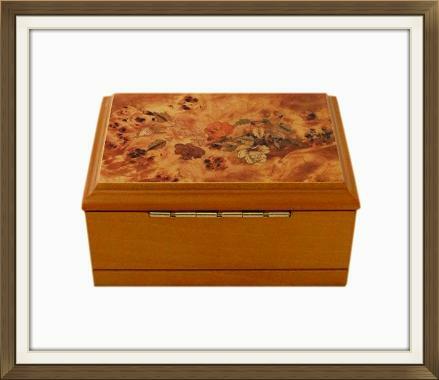 The lid of this box has a Burl Maple effect finish, plus a pretty floral inlaid effect. The rest of the box is solid Oak and this has been beautifully polished and varnished. The box has a lovely gold metal 'stop' hinge which prevents the lid from extending too far back. The manufacturers label is still present on the bottom of the box. The interior has a single small storage compartment, plus a ring storage section to the left of this. Both are lined with pale beige brushed felt. There is a lovely clear mirror to the inside of the lid. 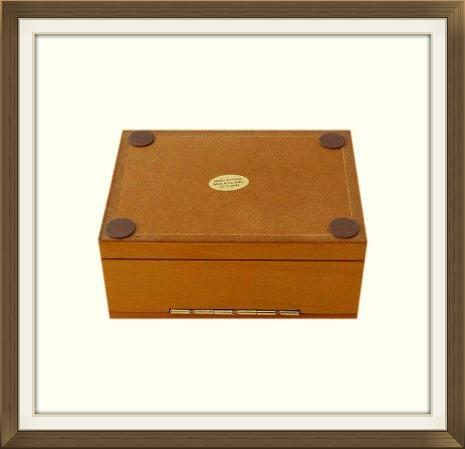 This beautiful box was made by the renowned jewellery box manufacturer, Mele. 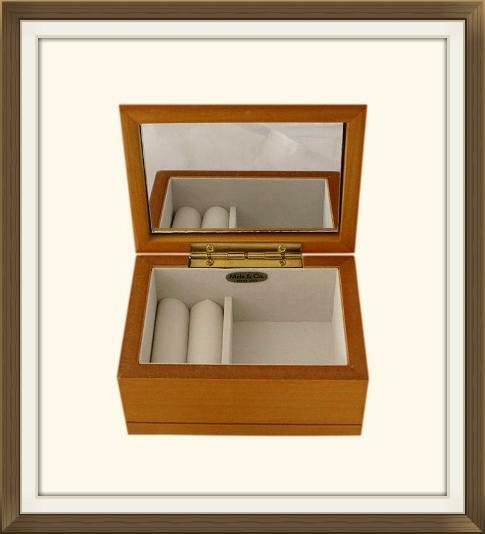 This company is long established and well known for its high quality jewellery boxes. They went into production in 1912 and are still going strong today! 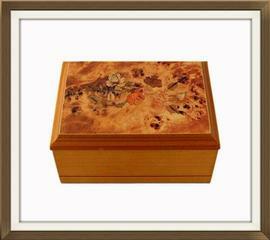 This particular box is a retired design and can no longer be purchased from Mele. This wonderful box is in excellent condition. It is structurally sound and has barely any wear. There is one tiny dint to the front edge of the lid. 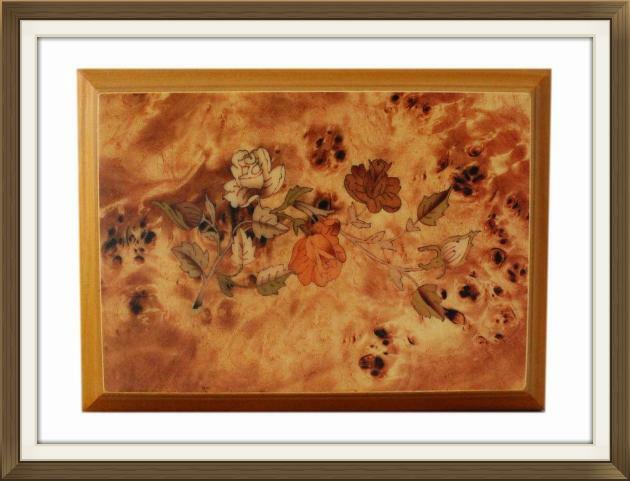 The interior linings are in excellent, as new condition. The box appears to have seldom been used, if ever. 7.0 by 6.0cm with a 4.2cm depth. Holds 3-4 rings depending on their sizes. International postage is £25, delivered fast within 3-5 working days to Europe, and 5-7 working days to the rest of the world. Postage is by Royal Mail International Tracked & Signed.